All My Swim is the debut LP from Faeland, aka Bristol-based folk duo Jacob Morrison and Rebecca Nelson. Following previous singles, We’re Just A Love Song/All My Swim, released on 11th November 2017 and Silent Story/The Wheel on 12th January 2018, All My Swim has received acclaim from Uncut Magazine, Folk Radio UK and Shire Folk Magazine, and a host of others. The singles have been supported by Gideon Coe and Tom Robinson via BBC 6Music. All My Swim is a beautiful selection of original, modern folk compositions influenced by music from both sides of the Atlantic. It gives the duo’s personal spin on classic themes of humanity, such as love, healing, and magic. 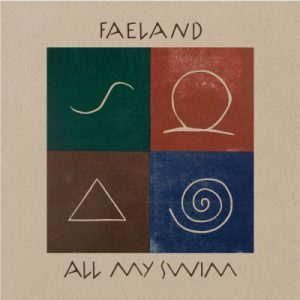 Despite tackling difficult themes and life experiences, there is a strong vein of optimism running through the music of Faeland; as Rebecca says they are “fully committed to making music that changes lives for the better and adds something good to human existence”. Key musical influences include classic artists such as Joni Mitchell, Fleetwood Mac, Nick Drake and Paul Simon, alongside more modern stars like First Aid Kit, Gillian Welch/David Rawlings, Bon Iver, R.E.M., Nick Mulvey and Hem. Copyright © Rebecca Nelson & Jacob Morrison. All Rights Reserved.